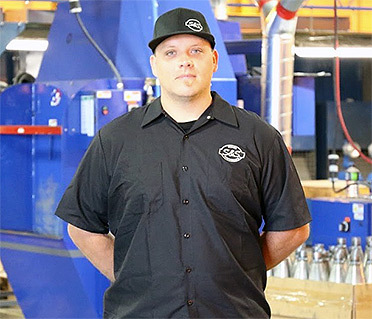 S&S Cycle of Viola, Wisconsin welcomes Hunter Klee to its Exhaust Design/ Manufacturing team in the role of Director of Exhaust Development. Hunter brings a decade of powersports exhaust design and manufacturing expertise and will help manage the recently created state of the art facility in the La Crosse, Wisconsin facility. “Hunter brings years of experience and a well rounded understanding of the performance as well as emissions compliance aspects of the exhaust space. We are more than excited to have him join our team” explains S&S Vice President David Zemla. Klee relocated from California and is currently dividing his time between secret exhaust development projects and designing his next Hooligan race machine.